Steve Jobs’ passing yesterday is a reminder of our fragility and the fleeting nature of time. 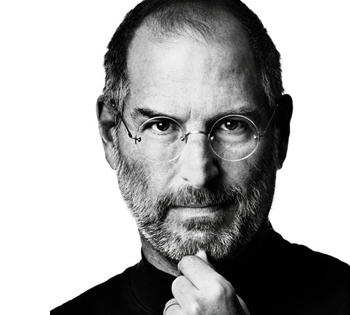 Steve’s life, however, is also a reminder of how awesome it is to be alive, brimming with ideas and making the world a better place. As Steve’s health waned over the past few years, I found myself becoming sadder and sadder over what appeared to be the inevitable: That we would lose an inimitable cultural icon who had touched our lives in a myriad of ways. Stanley Bing’s column in Fortune a few weeks ago was prescient in capturing why we will miss Steve and could serve as a great eulogy: The Bing Blog: Thanks, Steve. On a personal level, I will never forget watching my young son fall in love with his first iPod in 2003, cradling it under his pillow each night as he went to sleep. As a confessed music geek myself, the iPod transformed my travels by allowing me to take 25,000 of my favorite songs with me everywhere I went. And, after forcing myself to hold off until the iPad2 came out earlier this year, I walked around for days telling everyone in earshot that I was in love with that amazing gadget. In fact, it’s 8 months later and I’m still doing it!